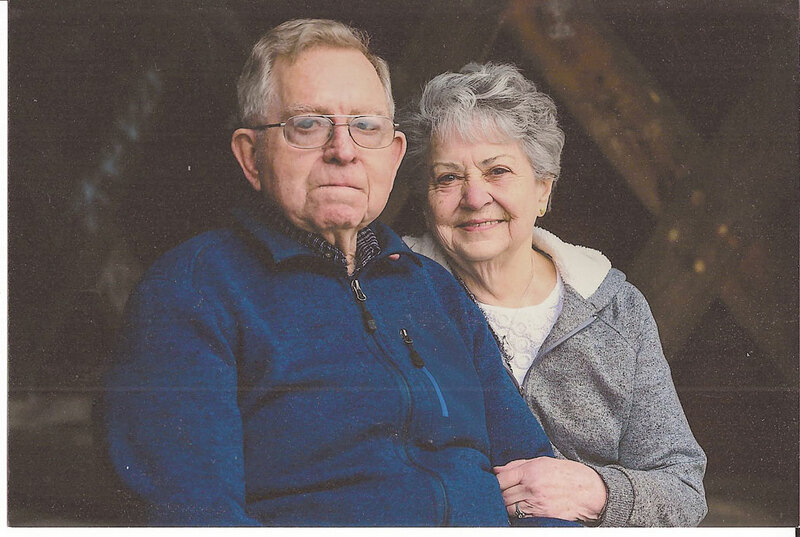 Clarence (Tom) and Mary (Santos) Gillmor celebrated their 65th wedding anniversary Sunday, Oct. 21, 2018, at a dinner at Ole Zim’s with their family. The couple was wed Oct. 24, 1953, in Fireside. Mary is retired from her seamstress business, M’s Tailor Shop. Clarence is retired from farming and truck driving. They are parents of four children, Cathy (Marty) Williams of Alton Bay, New Hampshire, Karen (Steve) Berlekamp of Green Springs and Bob (Kathy) Gillmor of Old Fort. Their eldest daughter, Connie (Greg) Yarmoluk, is deceased. They have 10 grandchildren, 16 great-grandchildren and one great-grandchild on the way.